San Jose Bicycle Club has always had a rich history of developing young riders, from the club's early days, through the glory years of the 70's and early 80's. Then SJBC's Junior team went into hibernation for almost 20 years, until Andrew Lanier, Mike Dodd, Gary Broeder, and Joe Farinha, brought their kids to a winter series event in 2004, and the rebirth of the junior team was on! Since then, we have increased the Junior Team from those original 4 to 30+ members today. We have had multiple team members win NCNCA District Championships in various disciplines and in different age groups. 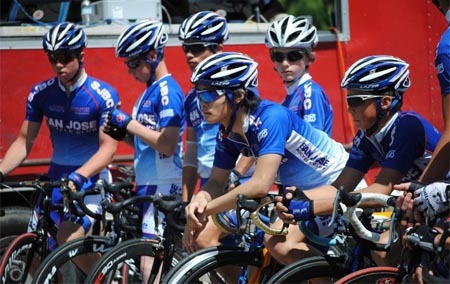 We have developed junior cyclists from Cat 5 to Cat 1 as juniors! Our mission is to create an environment where boys and girls reach to achieve their personal best through cycling and competitive sportsmanship.